France is the perfect cultural holiday destination. Millions of people every year visit its castles, abbeys and churches to explore the rich history of this beautiful country. But which part should you head for? My suggestion would be the South of France. No, not the Provence/Riviera/Cote d’Azur south of France. 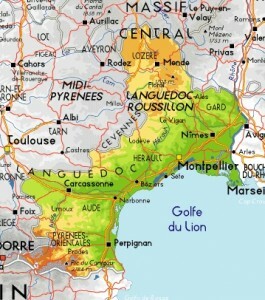 The ‘other’ south of France, Languedoc Roussillon! Head west from Provence and keep on going as if you were heading to Spain instead of Italy. This is Languedoc-Roussillon, an area of beaches, vineyards, mountains and yes, masses of culture. It is said that Languedoc-Roussillon is home to some of the most beautiful religious buildings in the country and, as such, is an ideal cultural holiday destination. The annual ‘Journées de la Patrimoine‘ is coming up on the 20 and 21 September. Historic buildings all over the county open their doors for free, so if you love culture and history it’s a pretty good time for a cultural holiday to France. The 12th century Cistercian Abbaye de Fontfroide near Narbonne in Languedoc Roussillon has to be at the top of any culture vulture’s ‘must visit’ list. Although it is privately owned the abbey is open to the public all year round with guided or self-guided tours available. There is a restaurant and a shop on site which sells the wines produced by the Abbey’s vineyards and the gardens are also well worth a visit. The Abbey is child-friendly with a ‘little explorers diary’ available to accompany them on their visit. For your stay in the area, base yourself at a B&B amongst the vineyards North of Narbonne and visit also Narbonne Cathedral and the almost as impressive ‘Archbishops Palace’ next door. 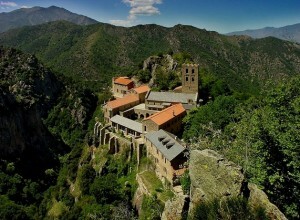 Take a day trip into the foothills of the Pyrénées and visit the spectacular Abbaye de Saint Martin de Canigou in Casteil. Accessible only by a 40 minute walk from the village below, the effort is so worth it. The views are just breathtaking. The role of Languedoc Roussillon as an ideal cultural holiday destination is further reinforced by a visit to the elegant and refined Benedictine Abbaye de Lagrasse south east of Carcassonne. 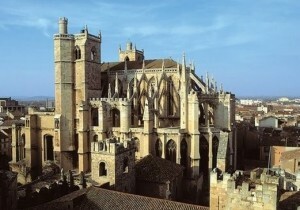 This is the largest abbey in the Aude department. Climb the 230 steps up the tower to enjoy panoramic views of the village of Lagrasse and of the surrounding countryside. Explore the two cloisters, one dating from the 13th century and the other from the 18th. Visit the 13th century Abbot’s chapel and also the Abbey church with its stark walls which date from the 13th to 15th centuries. 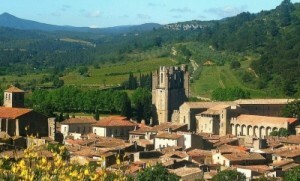 Combine a visit to Lagrasse with a trip to Carcassonne. Carcassonne is one of the most popular cultural holiday destinations in France. The Medieval fortified citadel known as the Cité de Carcassonne was actually founded during the Gallo-Roman period and is surrounded by over 3kms of double walls interspersed with 52 towers. The Medieval Cité de Carcassonne is a spectacular sight with it’s 51 towers and 3kms of walls. The Autumn is probably my favourite time of year in the South of France….. the temperatures are more amenable and the summer crowds have dissipated. The budget airlines often come up with great deals in the autumn offering cheap flights from the UK into Perpignan, Beziers and Montpellier. Combine that with lower accommodation tariffs now that the peak summer season has ended and a short break to the ‘other’ South of France is looking very attractive, isn’t it!